Yesterday we talked about ways to relax baby so he/she will sleep more soundly. But, even us non-Moms know no baby always sleeps through the night. The challenge I see is to make baby sleepy while keeping yourself comfy & alert. Quite the conundrum. Relaxation for Breastfeeding CD. Dr. McGruder-Johnson gives you mindfulness & relaxation techniques to enjoy while you breastfeed. Barefoot Dreams Robe – This is my baby gift of choice. I know it may seem odd to give a new mom a robe as a gift, but it is the coziest and according to my girlfriends, very conducive to breastfeeding. Hint: Buy an extra large, so lots of room to cuddle baby in the robe too. 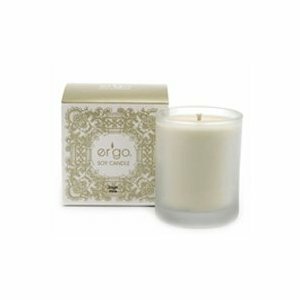 Sage Pine Candle by Ergo Woodsy fragrances help you stay focused without making baby alert (like a citrus one would). Tip: Don’t light the candle, just keep it close to you so you can smell the fragrance. 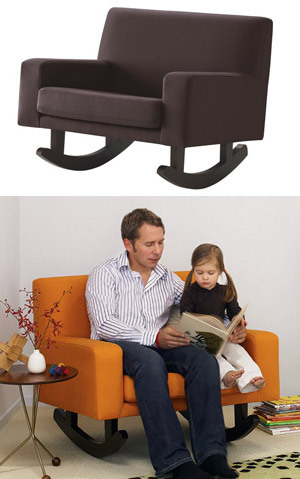 Zac and Zoe Storytime Rocker This comfy yet modern rocker comes in clean up friendly velvet or microsuede. We recommend pink, ecru, lilac w/ light birch legs. Plus, once baby is older, it’s perfect for storytime! 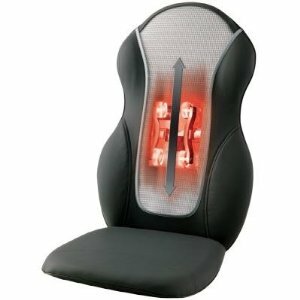 Homedics Therapist Massage Cushion. Top your rocker with a massaging cushion for a little TLC of your own. This one is quiet the key to finding one that will work in your nursery. Sustenance – Keep a bowl of dried fruit and nuts in the nursery as well as a pitcher of water in an ice bucket. All of my mom friends tell me how starved they are & this will keep you from needing to go to the kitchen when late night lullabying. Join us tomorrow for part three of Nursery Nirvana – where we dish decor for the diaper room.